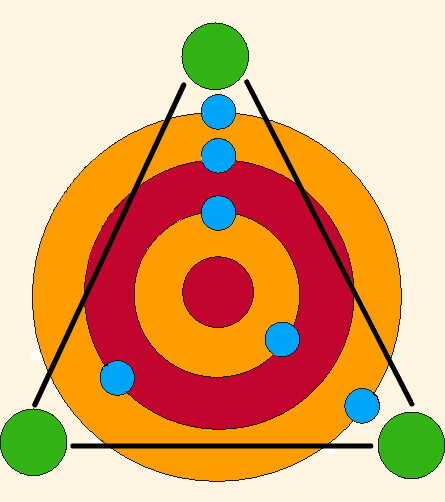 who has the target on their back. 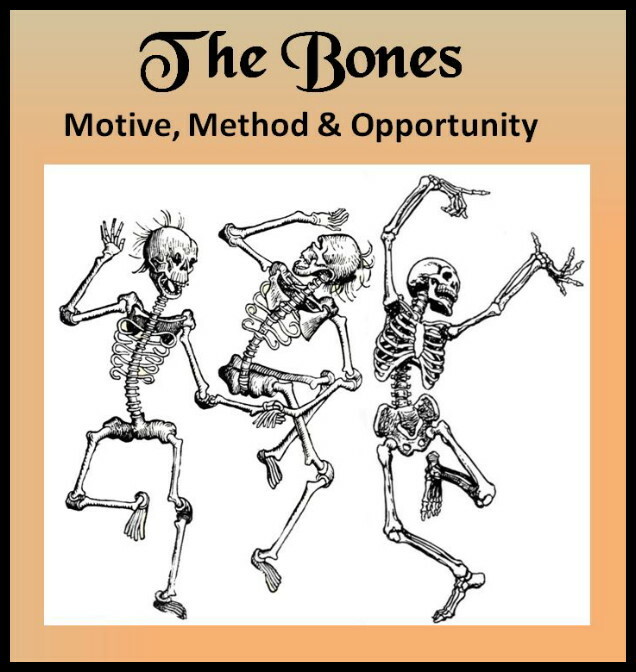 The Mystery Bones are the Motive, Method & Opportunity that hide behind the mystery plot. Why did the killer kill? How did the killer do it? 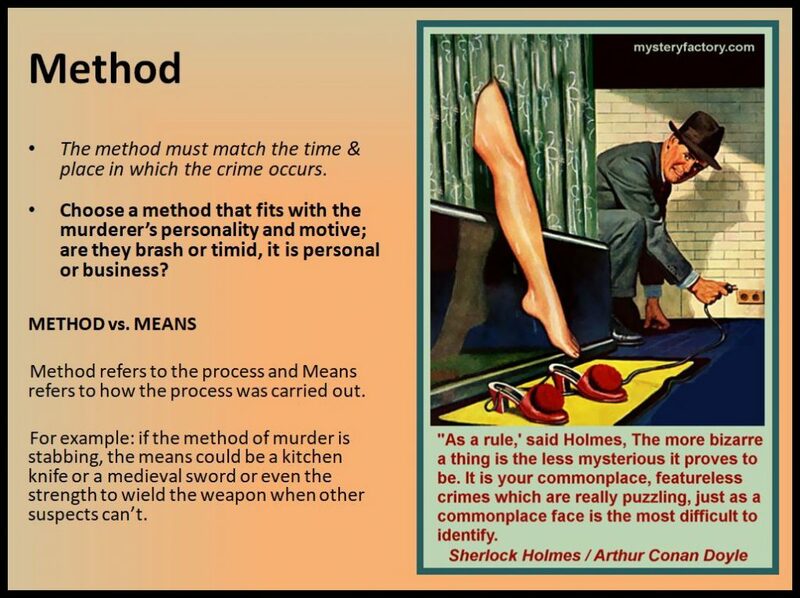 Once you know the answer to those questions you are well on your way to constructing a whodunnit. The Motive is always about being in control of something or someone. I have created three different flow charts to help inspire motives. The one above is for Power. 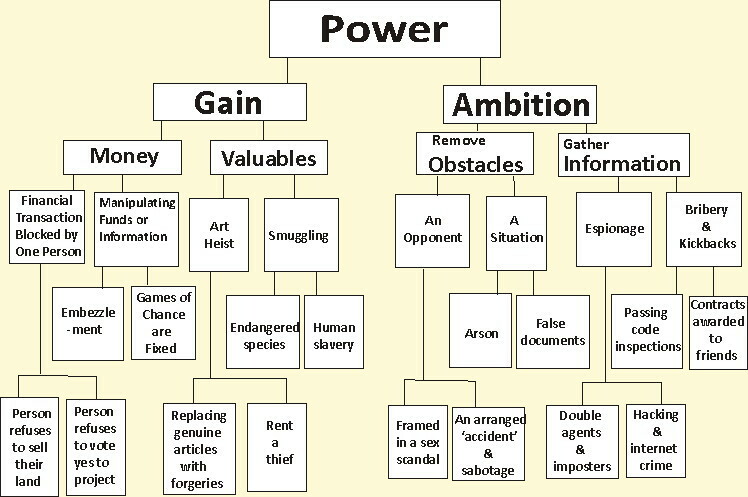 The flow charts for Passion & Revenge are included in my book CLUE TRAIL. In mystery stories, many characters may have a motive. They may or may not remain as suspects throughout the whole book. They can be ruled out as it is revealed whether they also had the method and the opportunity to be the villain. You have as many words as you need to tell your story. It may or may not happen quickly. 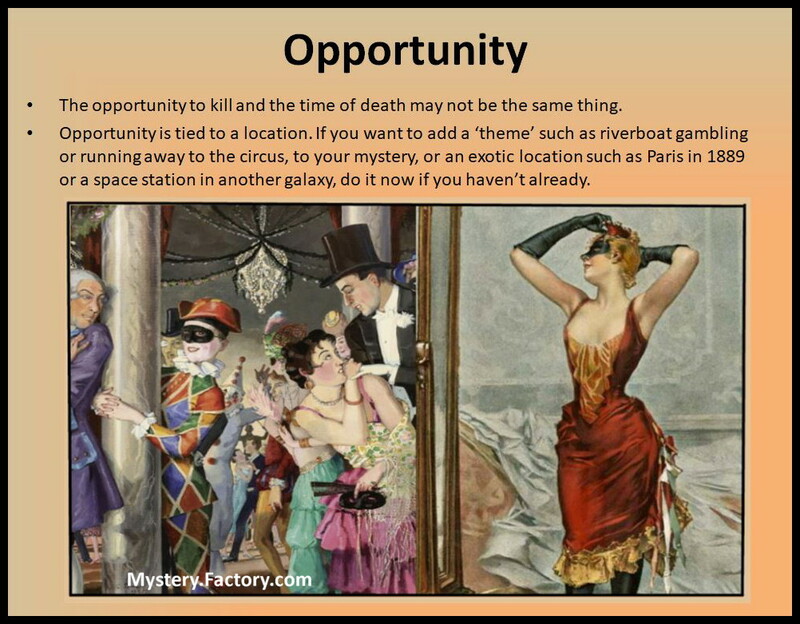 In murder mystery entertainment, there is a very short amount of time to get the relevant information out so you start off by making sure that every suspect has a motive. For every motive you need a piece of evidence. I write mystery entertainment so that some of the evidence is spoken dialogue, some of the evidence is hardcopy clues and much of the evidence is covered both ways, just to make sure no one in the audience misses anything. If the clue is verbal only then it must be included in a ‘scripted’ scene. All scripted scenes must be on microphone. There is nothing so detrimental to murder mystery entertainment as the audience not being able to hear what the characters are saying. Except a boring script. My scripts are never boring. The actor who is giving out the ‘verbal only’ clue must also make sure it is relayed to every group of people as he ‘works the tables’. Mingling should take place between the scripted scenes as well as at the beginning of the evening. I’m looking forward to seeing what they come up with! It was great meeting you. Teachers rock. Call anytime. Thank you!! I truly enjoyed the “Mystery Writing” Workshop on March 23, 2013. I am excited to teach my students “the bones” and I would love to share their work with you once completed. We are going to start the 2nd week in April so expect a possible call as I may need your assistance. Again, I certainly got what I wanted from the course as you made it interesting and easy to follow.